Over the holiday break I had this conversation with friends and family about what books we’ve read and then which corresponding movies we’ve watched. Are the characters in the movie or show who you’ve imagined? With the highly anticipated 50 Shades of Grey coming out soon (uh… James Dornan) many people are buzzing after the extended official trailer was released during the Golden Globes. I guess I better go back and finish reading that one before it comes (sorry). But it’s always an interesting comparison between books and movies. Orange is the New Black: If you haven’t heard about this comedy-drama that’s been a smash-hit you better get binging now! Based on the memoir of Piper Chapman, who’s sentenced to prison after confessing to a decade old crime. This series is about her experiences in jail and relationships formed. 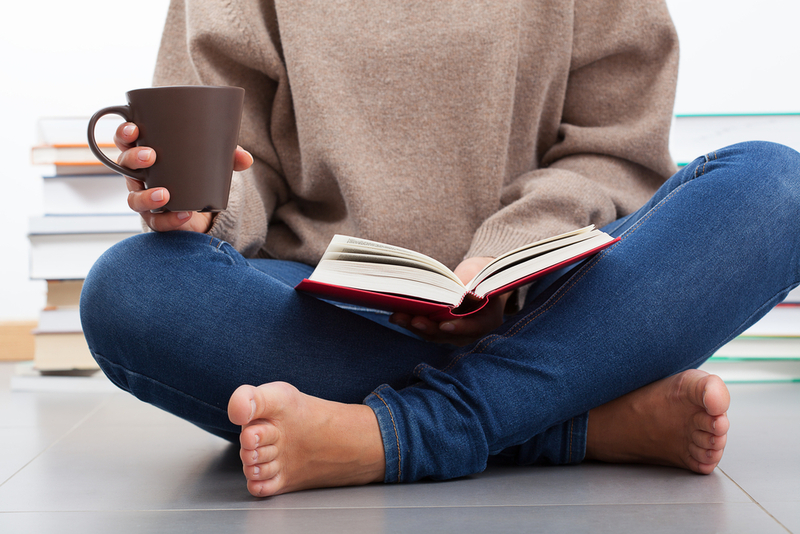 Eat Pray Love: Liz Gilbert is a modern woman on a quest to rediscover and reconnect with herself. She travels the world after a divorce and takes a sabbatical from work. Lots of great quotes in the film adaptation of the New York Times Bestseller and based on a true story of one woman’s journey in life. The Help: adapted from Kathryn Stockett’s 2009 novel of the same name, the film is about a young white woman “Skeeter” and her relationship with two black mades during the Civil Rights era in 1963, Jackson Mississippi. Skeeter is a journalist who decides to write a book from the point of view of the maids, who were referred to as “the help”, and exposing what they face as they work for white families. The Book Thief: while living in the Nazi era, the film is about a young girl named Liesel finds solace by “borrowing” books and sharing them with others. In the basement of their home, a Jewish refugee is being sheltered by her adoptive parents. Angels & Demons: the follow-up to The Da Vinci Code, expert symbologist Robert Langdon follows ancient clues in a race through Rome to find four Cardinals kidnapped by the deadly secret society, the Illuminati. Langdon embarks on a nonstop, thrilling race that leaves your heart pounding. For kids, it’s a great way to have family time and do the same. Here are some suggestions on Netflix Canada…. How To Train Your Dragon: Hiccup is a young Viking who aspires to hunt dragons. He befriends a young dragon and learns that there’s more to the creatures than he had assumed. Peter Pan: This classic tale has several films but this 2003 remake is beautiful. 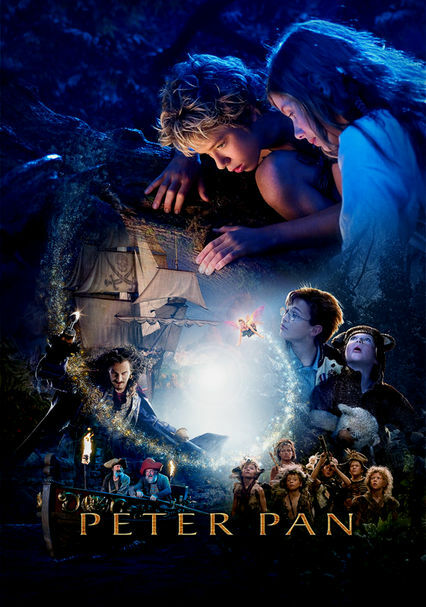 The story is about the Darling family children who receive a visit from Peter Pan, who takes them to Never Never Land where he spends his never-ending childhood. Dr. Seuss’ The Cat in the Hat: This film is a hilarious tale of Sally and Conrad, two bored kids whose life is turned up-side-down when a talking and very troublseome cat comes to visit them. Full of fun quotes too! The Baby-Sitters Club: based on a novel series written by Ann M. MArtin that sold over 170 million copies. The story is about a group of middle school students living in a town and run a business called “The Baby-Sitters Club” that helps parents find 13 year old babysitters from the club who are available for jobs. Each club member has unique talents and characteristics. The Adventures of Puss In Boots :is new to Netflix this month! 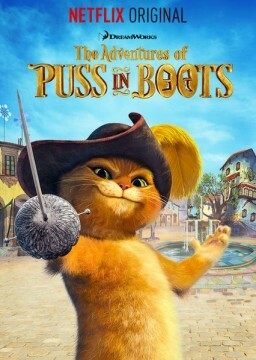 As Puss embarks on adventures, nothing can stand in his way..except maybe a hairball! The Very Hungry Caterpillar follows the progress of a hungry little caterpillar as he eats his way through large quantities of food until he absolutely full. He then rests creating a safe cocoon and eventually emerges as a beautiful butterfly! This book title is a well loved children’s book around the world. 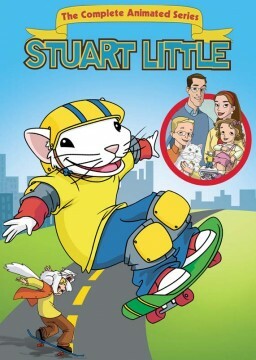 Stuart Little: The Animated Series is based on a 1945 children’s novel by E. B. White. The Little family adopts a charming young mouse named Stuart. On a side note this news just appeared this past November. In the 1999 “Stuart Little” movie, a long-lost art masterpiece was discovered as part of the movie set. Art Historian Gergely Barki was watching the movie in 2009 with his daughter and noticed the missing Robert Bereny painting “Sleeping Lady with Black Vase”. He contacted the studio to track down the painting. It happened that one of the assistants to the set designer of the movie purchased it for a mere $500 for the movie. After the production it was sold off to a private collector. Once the news broke out, the painting went to an auction with an estimated price tag of over $240,000. Cool right? Now another reason for me to watch more movies…for the art!! Do you have another suggestions? I’ll add them to my book & movie binge list! * In interest of disclosure, I’m personally a huge fan of Netflix but I am not compensated for these posts. 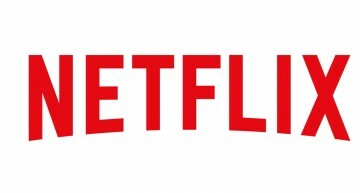 I’ve admitted my addiction, so I’m part of the Netflix StreamTeam to share news and thoughts.